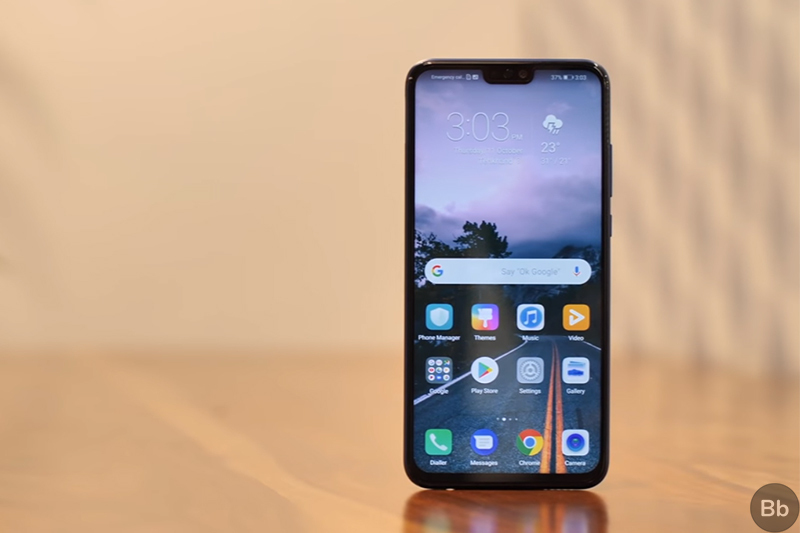 Home Reviews Honor 8X First Impressions: Impressive Big Screen on a Budget! Early last month, Huawei’s sub-brand Honor unveiled the new Honor 8X at an event in China. Soon thereafter, it was confirmed that the new device was making its way to India and would be launched in the country on October 16. For the unaware, the Honor 8x, which is the direct successor to the widely popular Honor 7X, is powered by a Kirin 710 processor, coupled with up to 6GB RAM and up to 128GB of internal storage. In the build quality and design department, the Honor 8X is quite a bit similar to other mid-range devices from the company. The device has a very premium glass sandwich design with a metal frame in between. Up front, it has a massive 6.5-inch FHD+ IPS LCD display with a small notch up top, minimal bezels on either side, and a rather small chin, giving the device a 91% screen-to-body ratio. 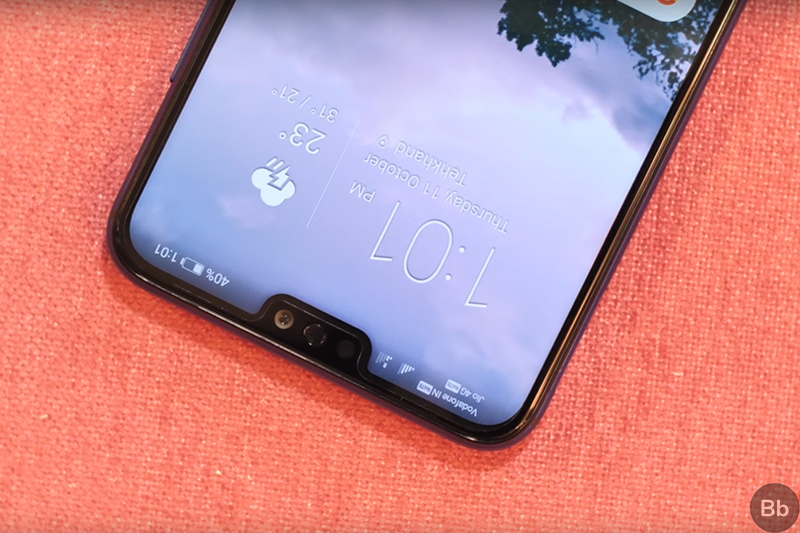 In order to get such a small bezel on the bottom, Honor has used technology similar to the one used by Apple on the iPhone X in which the LCD connectors have been folded back behind the display instead of resting underneath it. Do note, however, that Honor has simply folded the connector behind the display, while Apple, on the iPhone X, bent the display under itself to achieve the chin-less bottom on the iPhone X and XS. We received the blue variant of the device and it has a new pattern on the back, which honestly looks quite cool, especially when you look at it in landscape orientation. The dual camera module is situated in the top left corner of the back and there’s a circular fingerprint scanner on the back. The device has minimal branding which, once again, gives it a very premium look. The power button and the volume rocker are located on the right edge of the device, with the triple slot SIM card tray located on the left edge. Down on the bottom resides the single downward firing speaker, a micro USB port for charging and data syncing, and a 3.5mm headphone jack. Even though the inclusion of a micro USB port is quite disappointing, the company claims that including it was merely a cost cutting measure. 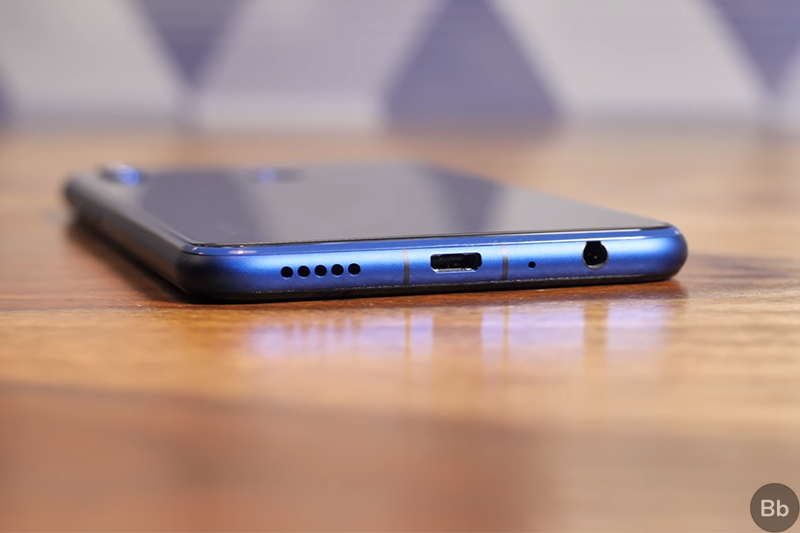 The company had a choice between adding a USB Type-C port and getting rid of the 3.5mm headphone jack or including a micro USB port and keeping the headphone jack in place. As you can already tell, the company went with the latter, laying more importance on keeping the device’s cost low and giving higher priority to the headphone jack. 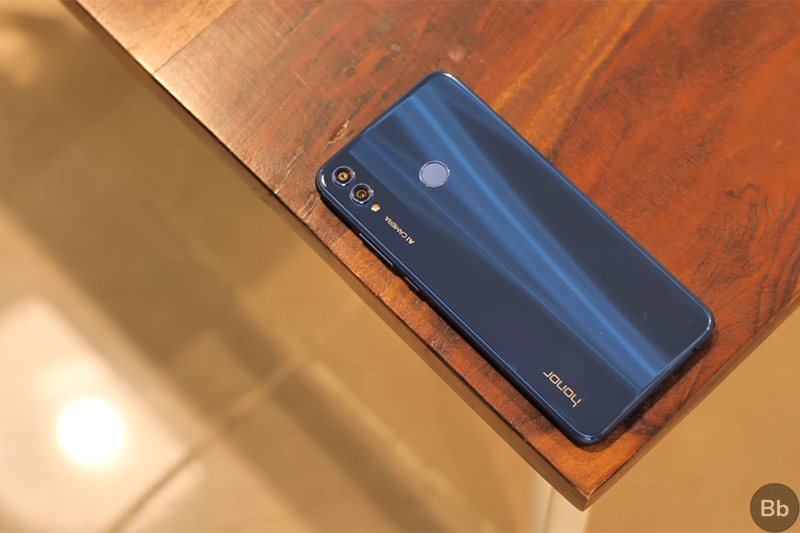 Overall the design and build quality of the Honor 8X is quite impressive and if Honor prices it competitively then there’s absolutely no doubt that the device has potential to take the mid-range smartphone market by storm. The only gripe that I have with the Honor 8X is that it’s a bit bulky and one-handed operation might be a bit difficult for people with smaller hands. The 6.5-inch FHD+ IPS LCD display is definitely one of its highlighting features, especially because it makes the device look far more premium than any of its competitors. The minimal bezels on all sides, along with the small notch, result in a very immersive user experience, the likes of which I’ve barely seen in any other mid-range device till date. The color reproduction of the display is quite accurate and it can get bright enough to help with sunlight visibility. 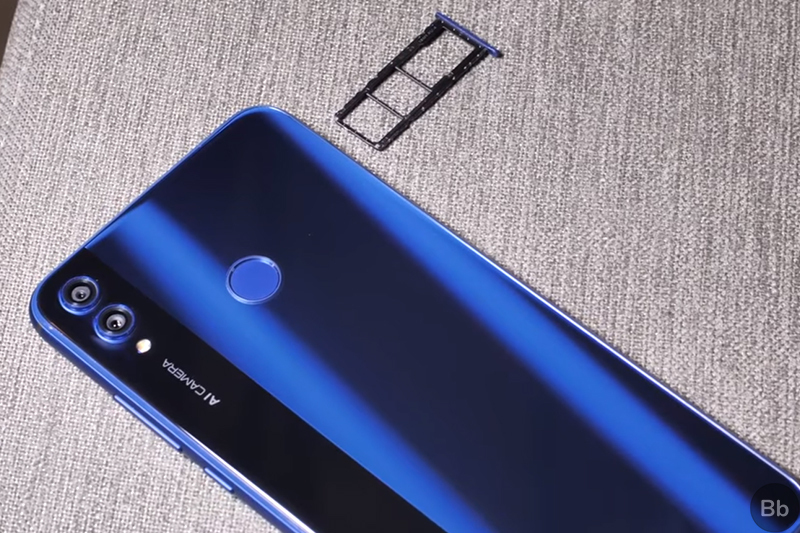 Honor has also received TÜV Rheinland certification for the display on the Honor 8X which reduces the blue light output. The reduced blue light output will decrease fatigue and will be greatly beneficial for users who tend to use their phones before going to bed. On top of that, EMUI 8.2 on the Honor 8X also includes an Eye Comfort mode which you can use to automatically change the color temperature of the display towards the end of the day in order to decrease the blue light emissions and prevent fatigue. 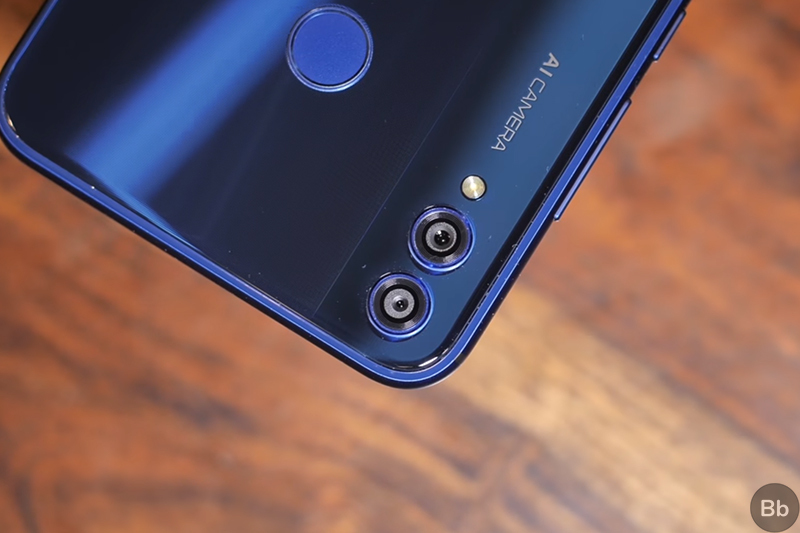 Much like most other mid-range devices in the market today, the Honor 8X features a dual camera setup on the back and a selfie shooter up front. Honor’s X series of smartphones has already built up a reputation for their camera prowess and the Honor 8X shouldn’t be all that different. The dual camera setup on the device features a 20MP f/1.8 sensor coupled with a 2MP sensor for depth perception. The device features AI scene detection, which works to automatically enhance images depending on the object in the frame. As you’d expect, the Honor 8X also features portrait mode capabilities and in our preliminary testing of the device, we found that portrait mode images captured by the device are pretty good. The camera app on the device also features a Night mode which allows users to adjust the shutter speed and ISO to capture better low-light images. Other camera modes include a full-fledged Pro Mode, an impressive Slow-mo Mode and also a Light Painting mode with which you can click amazing light painting images. Up front, the device features a 16MP camera with an AI-based portrait mode and all the other modes that are available on the rear camera. On the downside, the Honor 8X is only capable of recording 1080p video and there’s no OIS or EIS to stabilize the video captured using the device. As mentioned earlier, the Honor 8X packs in a Kirin 710 chipset clocked at 2.2GHz, coupled with up to 6GB of RAM and 128GB of internal storage. The device has a triple slot SIM tray with a dedicated microSD card slot that supports cards up to 400GB in capacity. The device includes all the usual connectivity features, including 802.11 b/g/n WiFi, Bluetooth 4.2, GPS, AGPS, Glonass and BeiDou for location tracking. Backing it all up is a respectable 3,750mAh battery which should easily last you a day with heavy use. Complementing the hardware is Huawei’s EMUI 8.2 based on Android 8.1 Oreo. EMUI 8.2 includes a bunch of customizations over stock Android Oreo, providing users with a ton of useful (and sometimes not so useful) features. Bloatware has been kept to a minimum and the device allows users to uninstall all the preinstalled apps that might not be of use, which is great. One of the biggest issues that I have with EMUI is its cluttered Settings menu and the same persists on the Honor 8X. However, the company is currently working to release EMUI 9 based on Android 9 Pie, which has a more streamlined Settings menu. Provided the Honor 8X gets the update, the software related issues might soon become a thing of the past. Well, that rounds up our first impressions of the new Honor 8X which is scheduled to launch in India on October 16. The device looks quite promising and if Honor is able to price it under the Rs. 20,000 mark, then it definitely has the potential to become the next best mid-ranger. However, in case it’s priced within the rumored Rs. 20,000-Rs. 23,000 price bracket, then it’ll definitely be squashed by more powerful devices like the Xiaomi Poco F1 and the Honor Play.